Let us look at how batteries are being developed, the boosting battery energy capacity have on the future technology and how people rely on them for their daily usage. Batteries has been used in the early day to store charge and coined by Benjamin franklin, when he wired capacitors in series to store charge.in 1800’s the battery wasn’t portable and had to be placed in rooms as large pillars(voltaic pile). Metals like copper, zinc, magnesium and metal mixtures with alkali induced insulators like sponge, cloth, wood etc. Later the battery got a box or trough design much like our car box battery increasing its portability and usage. Later Daniel cell was invented increasing capacity and longevity of batteries. These cells exhausted their usage after the chemical reaction completed and could not be recharged or brought back to the initial capacity. A lead acid cell battery was the AD-BC of battery timeline, these batteries could have a reversible reaction bring back battery capacity to its original. A dry cell was devised in 1880’s and used a zinc paste as anode and carbon as cathode. This was the first universally portable battery cell that could be used with very little leakage; these latter evolved into alkaline batteries that we still use in flash lights, radios, remotes, toys etc. Lithium and the usage of this elements in the battery brought portability and recharge ability to a very high new standard. Lithium ion in 1990 and lithium polymer in 1997 where the very advancements that fuelled portable electronic devices and laptops. Till now (that is 2010’s) we have never had much drastic change with design and usage of batteries. The new age of batteries sees their advancements in graphene compound technologies this age of civilisation will be referred to as graphene age, as this age will be defined by advancements in this carbon element and its advancements. Let’s put all the history aside and look at the present now. Battery has being playing the role of compact energy and has been running this wireless and portable era. The battery backup has been ever increasing and smaller and more compact devices have been developed. Lithium ion battery has been the backbone of almost all the portable and wireless devices, switching from the dry cells to a rechargeable option. 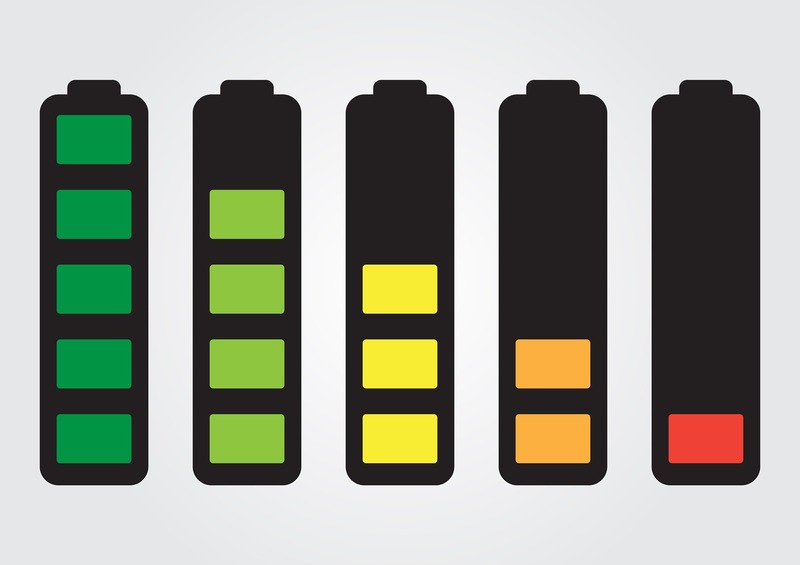 Leading tech giants like Samsung, LG, and Panasonic are developing lithium-ion batteries with much advances. So what is stopping better batteries? Even if new battery makers manage to bring novel technologies to market, they (start-ups and manufactures) face a dangerous period of ramping up production and finding buyers. Many failed after developing promising new systems, as their cash needs climbed and demand failed to meet expectations. Others got, acquired before they reached mass production and significant revenues, for prices below what their early-stage investors probably expected. Renewable or non-renewable the advancements in battery can aid in off grid power. This will help reduce power costs and outages. Storing power from many renewable resources for longer and for less maintenance requires good long lasting batteries. On grid power will cost more in power lines and maintenance than off grid options. We have many off grid power projects than can power air conditioners and electric cars from renewable powers like wind and solar, all because of batteries and efficient power converters. We have a hinge that hybrid cars or pure electric cars are the next big thing to happen for automotive industry. The use of efficient energy storage and drivers will create vehicles exceeding the range of coverage, cost of recharging and also radically effect pollution to the environment. The same goes for machinery that work out of generators or battery power, efficiency and compatibility are key features being enhanced here. Machinery like toolkits, drillers, robotic arms, packers etc., are made to run on battery packs increasing energy efficiency and work flow. We are actively developing technology that will fuel our exploration and exploitation. From mobile phones to solar panels on the international space station, there is this abundance of use of stored energy. Not only are we living on an expandable and ever dying planet we have brought laws to colonise other planets. This movement of the present to the future holds the question of how far can we expand and how; all rooting to energy and its utilisation. Storage as we know it, batteries are becoming smarter and better performing, we hope to see very intelligent form of power storage in the future. Batteries will change the power sector as homeowners and businesses install their own products. Batteries at homes, offices and other commercial buildings allow customers to save electricity collected by their solar panels and use it at times when electricity prices are highest.Perhaps the biggest open question for energy storage remains how much—and where—the market will grow in the coming years—whether lithium ion batteries will keep their place as the top way of storing electricity. Hydrogen storage, molten salt and other forms of batteries all offer alternatives that have received significant investment in recent years. We will see as more future technology unravel and as the saying goes “necessity is mother of invention”. Going low on power from your websites? Just contact us at Responsivedad.com.